My favorite restaurant again. 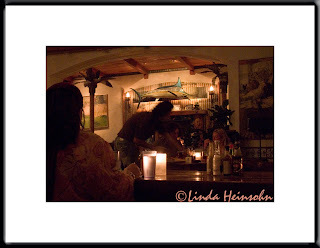 I was shooting in low light, no flash, to let the camera work with existing light to catch the ambience of the place. Froggy's is in a converted old VFW hall. They make yummy, creative food. Mostly fresh fish on the daily specials though vegetarians and fish phobics will find something tasty from the regular menu.